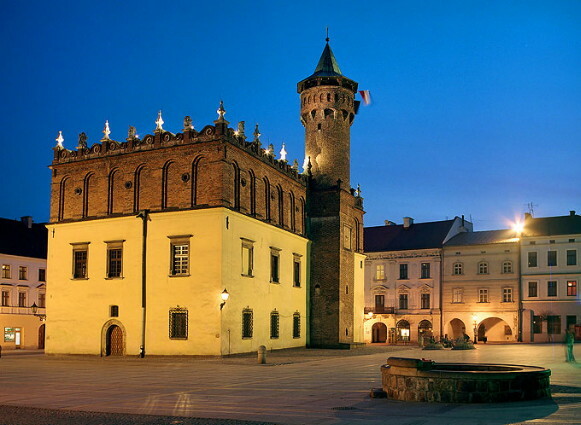 Tarnów. A city (2009 pop 115,341) on the Dunajec River in Little Poland voivodeship in southern Poland. In 1920–3 Tarnów was the seat of a section of the Government-in-exile of the Ukrainian National Republic and the residence of Symon Petliura. In February 1921 the Council of the Republic was convened there. The UNR government-in-exile moved to Warsaw in 1923. Not far from Tarnów was the Wadowice internment camp for soldiers of the Army of the Ukrainian National Republic. In the early 1920s the Ukrainska Avtokefalna Tserkva publishing house, directed by Ivan Ohiienko, published some religious pamphlets in Tarnów.